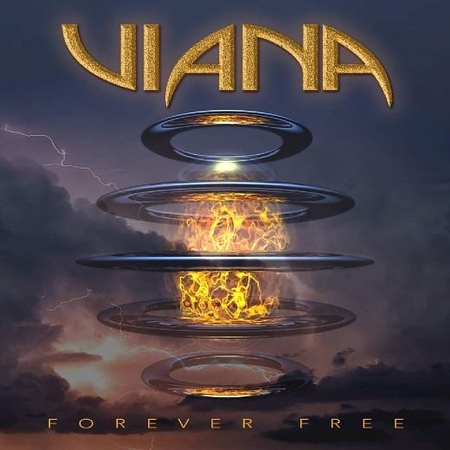 “Forever Free” is the second album from the band Viana and it was released on 25th January via Escape Music. The band was formed by Italian guitarist Stefano Viano and released a debut album in 2017. There is a new lead singer for the second album and it also includes a number of guest appearances. I included the title track on the Friday NI Rocks Show on 22nd February. The band’s self-titled debut was released in March 2017 and featured well-known musician and producer Alessandro Del Vecchio on vocals with Viano on guitar. They were joined by guitarist Francesco Marras, bass player Anna Portalupi, drummer Alessandro Mori, keyboard player Pasquale India and Gabriele Gozzi on backing vocals. On the new album former Steel City frontman Bryan Cole has taken over the lead vocals and there are backing vocals and a duet with Terry Brock from Giant / The Roth Brock Project. His partner in the latter project, John Roth (from Black Oak Arkansas, Winger and Giant), also makes an appearance on the album as a guest guitarist on three tracks. Marras, Portalupi and India all return for the second album, but the drummer this time is Adam Ernst.